On the evening of November 15, the Media Activism Research Collective hosted a screening of 1971. The documentary, created by Johanna Hamilton, recounts the heroic activism of eight ordinary citizens who exposed the extent of the FBI’s illegal surveillance of dissident groups throughout the 1960s and 1970s. A panel discussion including three of the film’s subjects — John Raines, Bonnie Raines, and Keith Forsyth — along with their lawyer, David Kairys, followed the screening. 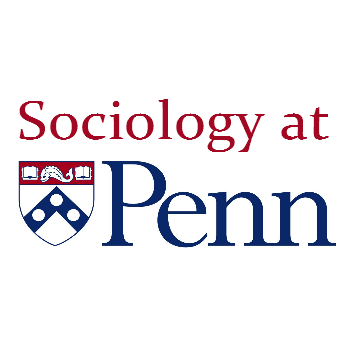 In this post, Penn students reflect on 1971, its relevance for activists working in the contemporary era of ubiquitous surveillance, and its subjects’ timely messages of resilience, community, and defiance. Read on, or skip down to contributions from Aaron Shapiro, Elisabetta Ferrari, Kerry McAuliffe, or Rosemary Clark. Afterwards, head over to @MediaActivismRC for live tweets from the panel discussion. Everyone who attended last week’s screening of the illuminating documentary 1971, as well as the discussion that took place afterwards, was left with much to think about. The documentary tells the story of how eight activists came together to pull off a heist that was nothing less than the Italian Job in terms of its coordinative brilliance. The group, which called itself the Citizens’ Commission to Investigate the FBI, broke into an FBI field office in Media, PA and leaked hundreds of documents to major newspapers, leading to the exposition of the FBI’s infamous COINTELPRO (Counter Intelligence Program). The FBI was thus caught with its pants down, so to speak, having surveilled not just communist provocateurs, as had been their mandate, but also women’s liberation organizations and civil rights groups (including a close surveillance of Dr. Martin Luther King, Jr.). All of these issues came to a head with the Church Committee, or the United States Senate Select Committee to Study Governmental Operations with Respect to Intelligence Activities, which effectively curtailed the FBI’s surveillant powers – that is, up until the passage of the Patriot Act in 2001. There were two things in particular that struck me during the film screening and the provocative discussion that followed. The first is that the Church Committee’s ability to limit the scope of the FBI’s mandate and powers needs to be juxtaposed against the beefing up of municipal, county, and state police and sheriff’s departments. Consider the militarization of police forces that began with the LAPD’s SWAT (special weapons and tactics) response to the Watts Riots in 1967 and became institutionalized with the 1033 Program, created by the National Defense Authorization Act of 1997, for the transfer of excess military equipment to civilian law enforcement agencies. The 1033 Program began to receive national attention in the aftermath of Michael Brown’s murder at the hands of the Ferguson, MO municipal police department – despite the fact that much of the Ferguson and St. Louis County PDs’ military equipment was acquired prior to 1997. The point is that as sweet as the victory achieved by the Citizens’ Commission was and may continue to be, the fact that police departments are so hard to regulate on a national scale means that their technological means of executing force on urban populations has continued to grow. The second issue that the film got me thinking about is the intractability of contemporary surveillance and security. Several things about the Citizens’ Commission heist are notable in hindsight. For example, the FBI field office was located in an apartment building without even a guard; the only thing standing in the activists’ way was a lock – which a 19 year old learned how to pick. But beyond this almost comical level of securitization, another thing to consider is that surveillance today is not concerned with dissident groups’ speech as they were under the COINTELPRO. Having FBI informers or agents go undercover on college campuses or within activist circles is an extremely expensive, time-consuming, and tedious endeavor. Surveillance logics today do not concern themselves with speech, the “data” of resistance, so much as with the metadata of dissident activity – the who, where, and when questions, not the what and why. Algorithms determine, with some level of probability and some rate of error, the likelihood that by dint of being in the same places at the same times as a surveillance subject that you, too, should require surveillance. The NSA does not care about what book you took out of the library; they care about your patterns of communication, of movement, ascertained by your metadata traces. These issues are, I know, gloomy. What was so uplifting was the spirit of the three Citizens’ Commission activists who attended the screening. John and Bonnie Raines and Keith Forsyth assured us that our generation was not the first to experience heartbreak after a presidential election; that every victory and every loss needs to be followed by the long, hard work of organizing and building community, and that extraordinary displays of courage outshine and, in this case, outlast any one grip on the reins of power. “Trust, community and guts: that’s all we’ve got.” There were many memorable quotes in the evening we spent with the members of the Citizens’ Commission, but this one stuck with me. In a way, it brilliantly sums up the activism of this brave group: the trust they were able to build and maintain, the existence of a larger community of resistance (in Philadelphia and in the country), and the guts it took them to decide to break into an FBI office. But the message from John Raines, who used that sentence, is also that trust, community, and guts can be a road map for the future of activism. A good chunk of our discussion, not coincidentally, revolved around drawing lessons from the 1960s, as we wrap our heads around the outcomes of the Presidential elections. The first glimmer of hope that I felt since the night of November 8th came from these activists, their courage, and their wisdom. “How do we think we felt when Nixon got elected in 1972?” they asked us, to remind us that they got through the years of Nixon and Reagan. They seemed the least defeatist in the room, and that gives me hope and strength. It’s not time to give up. At least not until we create something half as cool as the FBI street fair in Powelton village. Two years ago, still in the wake of the Snowden revelations, I spent a summer at King’s College London researching dataveillance, surveillant anxiety, and the way recent theatrical performances in London were reacting to these subjects. The central question – to which I lacked a totally satisfactory answer – was whether, and how, performative art practices could convey the big data, surveillance paradigm not only to resist systems of control, but also the anxiety that proliferates the paradigm (and the enactments themselves). The total event of the 1971 screening – the documentary and Q&A with the very actors who risked lives and reputation to expose government abuse of power through mass, discriminatory surveillance – enacted the kind of merged resistance to both surveillance and its anxieties that I hadn’t yet encountered. Folks entered the space that evening still reeling from an alarming election result, disoriented from a national backwards slide, and weighed down by the civil rights and sheer safety implications in this new regime change. We’ve been very anxious to say the least. By connecting all of us in the room with prior protests and activism, the 1971 screening and Q&A event lent a spirit of confidently sustained resistance to a room of folks engrossed in the panic and magnitude of the present moment. 1971 and the panel took the apocalyptic tone of the week and situated it, historicizing and handing us a moment of clarity while also maintaining a sense of compelling urgency. The historical scope of surveillance was made real — but so was its material, and effective, history of opposition. The plays I analyzed in London, Privacy and an adaptation of 1984, creatively conveyed systems of watchful control, but not their successful — however iteratively — opposition. That iterative, long term struggle came through as the real takeaway for me that night. Just as “control,” “discipline,” or any dominant system re-articulates itself, the opposing activist movements must do the same – must state their cause. Taking certain values as a given cannot work when a violent system of dominance re-forms and re-speaks itself iteratively. Instead, as Bonnie stated, critical and activist movements must constantly articulate the core values they seek. They cannot take for granted “values as a bedrock,” Bonnie emphasized, but must build that foundation by reiterating their values, risks they will take, and reasons they will take them. Otherwise, a movement can rip itself apart, or burn hot and fizzle fast in the face of consistent adversity and slow institutional change. Bonnie’s comments struck particularly forcefully because of their resonant gesture towards speech, communally construed meaning, and the powerful sense of “formation” or bringing and holding joints together. She used the word “articulation” several times, and it spoke not only to the necessity of joining together disparate activist movements, which may express different forms and levels of radicalism, but it also speaks to the power of collective expression in forming a bedrock. That communal act of articulation is also a creative, generative one – an agential expressiveness. I left wondering then if the surveillant anxiety antidote is found not merely through its artistic communication, but by construing a language of resistance and core values in that very tongue. On its surface, 1971 is a film about covert political repression and the courage required to expose it, a topic that resonates all too deeply 45 years after Keith Forsyth picked the lock to an FBI field office in Media, PA. At its heart, however, 1971 is a story about community, about the critical importance of collectivity and solidarity, even across axes of difference. John Raines reminded us during the panel discussion that activism necessitates community: “The power of resistance comes in forming a community of strength and common values.” In a media landscape where the meaning and materiality of social bonds shift and slip among Facebook groups, Twitter hashtags, and blogospheres, in a divisive historical moment where leaders are calling for unity against all odds, and in a political environment where seasoned and novice activists of varying ideologies and backgrounds are joining together in opposition to Trump, questions of community — what it is, how to build it, what it does — feel more relevant than ever. For the Citizens’ Commission in 1971, community meant protection. None of the eight Commission members could have accomplished the break-in on their own; instead, they had to depend on one another and trust that each member would protect the wellbeing of the group. But their community extended beyond their inner circle. When the FBI sent 150 agents to tear through Philadelphia’s Powelton Village, a countercultural activist hub, in search of the Commission and their stolen documents, friends, allies, and neighbors became their first line of defense, despite not knowing the true identities of the Commission members. “The reason they didn’t find us was that there was a community of resistance,” John explained, “Philadelphia was the center of resistance to Vietnam. We were eight minnows, swimming in an ocean of minnows.” Protection in any activist community is not a given, but rather, requires concerted efforts and strategies of allyship. In Powelton Village in 1971, those efforts manifested in part through a carnivalesque street fair, where activists called out FBI agents posing as leftists through songs and games. Neighbors even developed an alarm system, distributing boat horns to be blown in the event of a raid. But, as the story of the Citizens’ Commission demonstrates in retrospect, not all community members are afforded the same levels of protection. Throughout the long 1960s, the New Left was dominated largely by college-educated white men. Many of the organizations and collectives undergirding the New Left replicated the sexist and racist power imbalances structuring society at large and marginalized the perspectives and concerns of women and people of color. This often meant that the traditional binaries separating public/private, masculine/feminine were upheld in behind-the-scenes organizing efforts. In an interview in the documentary, Bonnie Raines recalls feeling frustrated because the men of the Citizens’ Commission at times relegated her to the position of “den mother,” responsible primarily for hosting and feeding her coconspirators rather than plotting their actions. The political agendas of New Left groups often reflected their structural biases. For example, as Keith explained during the panel discussion, state-sponsored surveillance had been a feature of everyday life in black communities long before 1971; the FBI office break-in, however, pushed surveillance into the political spotlight because it revealed that the Bureau was also violating the constitutional rights of white activists. As we find ourselves scrambling desperately to figure out what actions to take, we must commit to protecting, centering, and learning from the perspectives of those at the margins of our communities. Early on in the panel discussion, John delivered a call to action: “We are going to have to fight for this country. The country that we thought we belonged to and want to belong to is a country that is yet to be made.” Let’s make sure the communities we organize in prefigure the country we want to see made. ← Translation in Activism and Cyber-nationalism in China.